S 1/c Joe Shelby Clay, son of Mr. and Mrs. John Henry Clay, Spur, husband of Nellie Goff, attended Spur High. 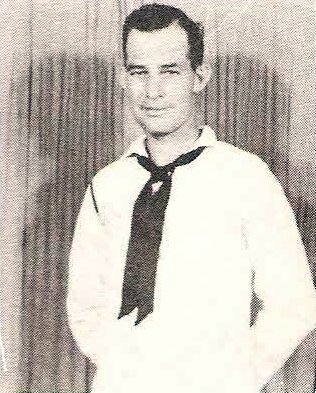 Entered Navy, 1944, trained at Camp Farragut, Idaho. Served in Pacific. Awarded Phil. Lib. with 2 Stars, APO with 4 Stars, AD Ribbon. Served aboard USS Maryland. Discharged in 1945.